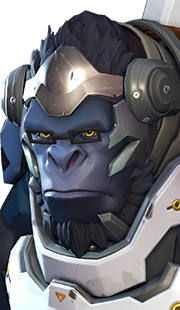 On this page, you will find a detailed overview of the abilities that McCree has access to. We also explain how to best use these abilities. If McCree could be summed up in one word, it would have to be sharpshooter. Everything about his demeanor, his style, and his abilities reinforces McCree (and those who him play at a professional level) as a gunslinger. Therefore, McCree's signature cowboy persona is entirely summarized his weapon of choice and source of his primary fire: Peacekeeper. Peacekeeper, like McCree, is pulled straight from the Wild West. A revolver boasting the classic 6-bullet cartridge, Peacekeeper deals 21-70 damage per shot depending on McCree's distance from his target. Although McCree must be within 22 meters of his target to deal the most damage possible, he can be up to 45 meters away and still deal more than 21 damage per bullet. If McCree holds down the fire button, he will shoot all 6 of his bullets in 3 seconds. This weapon is capable of scoring headshots, which means McCree can boast a staggering 840 possible damage with a single clip. Once Peacekeeper's work is done, McCree takes 1.5 seconds to reload for a new shootout. 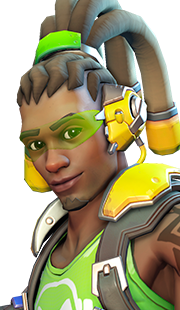 McCree is a hitscan dps hero, which means players do not have to account for bullet travel time when shooting enemies. In fact, no matter how far an enemy is away from McCree, a shot from Peacekeeper will hit its mark if a player's reticle is on the enemy when the shot is fired. Therefore, players have to aim on the target when firing to land all of their shots, which is great for those whose accuracy is as pinpoint as Peacekeeper. When using McCree, players should take advantage of the fact that no matter what McCree is doing (standing still, walking, jumping) his Peacekeeper has pinpoint accuracy. Due to the accuracy, regardless of the movement of McCree when he shoots, the bullet will travel in a straight line every time. Therefore, players using McCree should rarely stand still when firing Peacekeeper, as other weapons in Overwatch have various levels of spread. 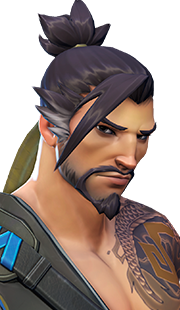 McCree has a distinct advantage over heroes with weapon spread because he can move side to side and simultaneously shoot perfect shots while other heroes' shots will be affected by the spreads of their guns. This is part of the reason why McCree is such a strong duelist, and why McCree players are often strafing across the battlefield. 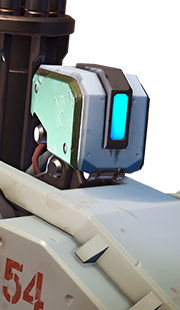 The secondary fire of McCree's revolver, Fan the Hammer is a quick-fire variant of McCree's primary fire. Although Fan the Hammer releases McCree's shots faster than Peacekeeper (can unload all 6 bullets in .67 seconds), it also significantly lowers accuracy due to its spread. Additionally, Fan the Hammer has a lower damage potential (13.5 to 45 damage per shot depending on the range), cannot score headshots, and yields a smaller damage drop-off range (18-30 meters) when compared to Peacekeeper. Fan the Hammer can be used at any point in McCree's clip, rapid firing however many bullets are left in Peacekeeper's cylinder. While many players believe Fan the Hammer should be used in conjunction with a Flashbang, in reality, targets who are susceptible to headshots should be shot in the head with Peacekeeper's primary fire while stunned. If McCree throws a Flashbang and immediately holds down the trigger on Peacekeeper, McCree is capable of dealing 2 headshots to his opponent before they can react. When totaling up the damage, 2 headshots with Peacekeeper will deal 280 damage, whereas landing a full clip of Fan the Hammer will deal 270 damage. While the 10 damage difference seems insignificant, McCree is capable of pulling off the first combo with 4 bullets left in his cylinder, whereas the second combo drains his firepower completely. 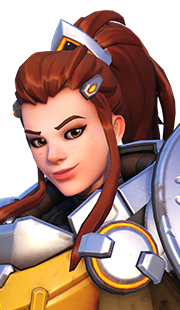 With the intensity and pace of Overwatch gameplay, there is no doubt players will find it helpful to dispatch an enemy in 2 shots rather than unloading a full clip and having to survive the 1.5-second reload time. For those who are thinking that landing 2 headshots in a row is difficult, we challenge you to consistently land all 6 shots with Fan the Hammer. Both feats are not easy, but mastering one (2 headshots immediately after a Flashbang) will help you deal more damage and keep you in the fight longer. If Fan the Hammer is not a viable option when fighting heroes, when is it beneficial to use? 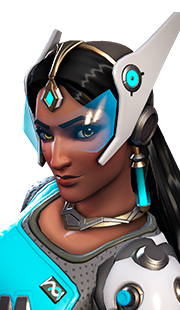 Essentially, the only time players should use Fan the Hammer is when they are attacking barriers, Torbjörn's turrets (point blank), or Symmetra's Teleporter. 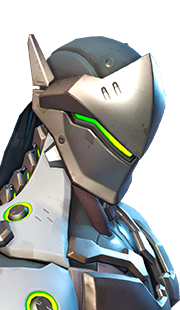 These Overwatch structures cannot receive headshots, which means they are only damaged at base levels. In a 3-second period, Peacekeeper can deal 420 damage with no headshot bonus. However, in the same time frame, Fan the Hammer can deal 540 damage. Therefore, Fan the Hammer's base damage is higher, and should be used to destroy enemy structures (if all 6 shots from Fan the Hammer are guaranteed to hit the structure). Stun enemies in front of you. Flashbang is McCree's best ability, and one of the main reasons he is such a good duelist. Flashbang is a crowd control ability that stuns enemies caught in the blast for 0.7 seconds. Typically, Flashbang will travel 5 meters over 0.5 seconds and detonate, but if the grenade strikes an enemy or structure, it will explode on impact. Once the grenade explodes, it has an of 2 meters, and those who are caught in the blast are stunned and injured for 25 damage. Once a Flashbang explodes, the ability goes on a 10-second cooldown. If you are attempting to Flashbang an enemy, but are worried that the short casting time will cause you to miss, throw the Flashbang at the ground next to your target's feet to make the ability explode before its anticipated casting time. While in a duel with an enemy, McCree should be patient with his Flashbang, as enemies are often reluctant to attack McCree up close if they are unsure if he has his Flashbang available. 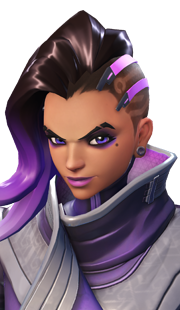 Once McCree uses Flashbang, supposing he misses or fails to kill the enemy, flankers like Tracer and Sombra are bound to attack McCree up close, thus dealing more damage with their weapons. 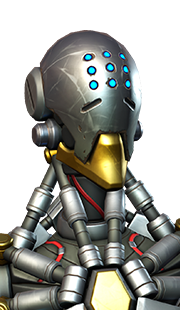 Although fighting an enemy face to face can make it easier to score headshots with Peacekeeper, McCree ideally wants to keep enemies at a distance where his damage is maxed but his opponents damage output is lowered. 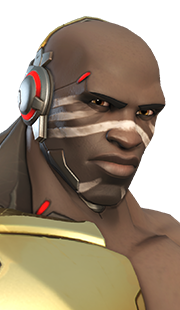 Therefore, Flashbang should only be used in a duel when the enemy is clearly committing to a close-range attack on McCree. It is important to note that Flashbang can interrupt McCree's use of Fan the Hammer, which can catch enemies off-guard. An enemy may think that McCree is completely invested in using Fan the Hammer, when halfway through the shots, he throws out a well-timed Flashbang and finishes the enemy with a headshot. 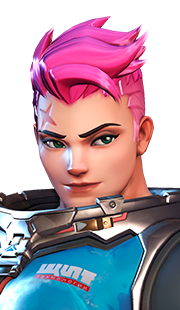 This can work on heroes like Tracer, Genji, and Reaper, all flankers who, if they have impeccable timing, can dodge Flashbang with one of their abilities. Roll in the direction you're moving and reload. McCree's one and only mobility ability, Combat Roll, serves 3 main purposes. It immediately reloads Peacekeeper, it allows McCree to roll in whatever direction he is currently moving towards (it will take him straight ahead if he is not moving when it is used), and makes his hitbox smaller. 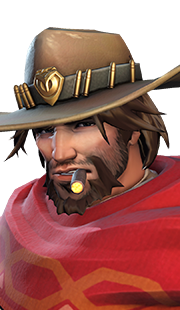 McCree's Combat Roll will take him 6 meters during its 0.4 second duration, and the ability has a cooldown of 6 seconds, which only starts after his current Combat Roll is complete. During Combat Roll, McCree cannot perform any other action, but it can be interrupted by enemy abilities. McCree must be standing on a surface to initiate his Combat Roll, but once he commits, he can roll off of ledges. This means McCree cannot use his Combat Roll while jumping or falling from high ground. Combat Roll can interrupt McCree's Fan the Hammer, helping him change his positioning when opponents least expect it. Combat Roll can be also used as a gap closer to throw Flashbang and secure a kill on an enemy, but this ability chain uses all of his abilities and makes him vulnerable to attack. Faceoff against your enemies. Press Q to lock on, then Q or LMB to fire. 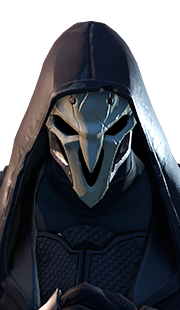 Deadeye is a like a showdown at high noon ultimate where McCree initiates a channel which, when released, can send whole teams to the undertaker. 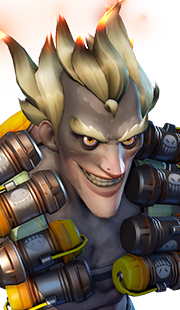 Although High Noon can deal loads of damage (theoretically 1,500 damage per person), it is difficult to use for a plethora of reasons. 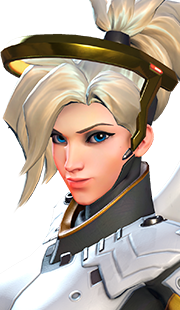 The ability is a bit more complicated than others in Overwatch, so we will explain the mechanics first. When you cast Deadeye, McCree enters a sort of bullet time that lasts (up to) 6 seconds. 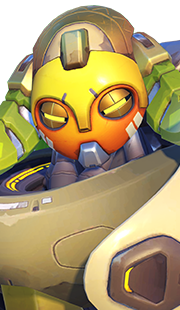 During this time, McCree can move at a snail's pace while he attempts to line up shots on any enemies who are unfortunate enough to be in his line of sight. 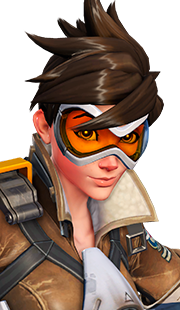 For every second that an enemy is in McCree's sight while channeling Deadeye, he or she will take 250 points of damage when McCree draws his weapon (granted they are still in view when McCree fires), which means Deadeye deals 25 damage for every 100 milliseconds of charge. To help McCree actualize the impact of Deadeye, every enemy in his view is marked with a red circle. 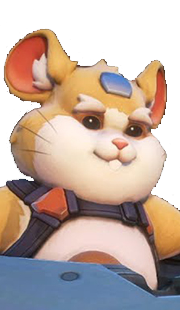 As McCree builds his channel against an enemy, the circle around the enemy will grow smaller. 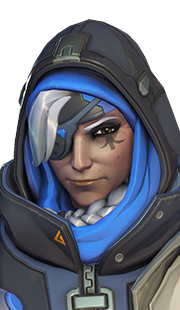 Once McCree's Deadeye is able to deal enough damage to kill the target(s) in his sights, the circle will fill-in with a skull and crossbones. Once the player clicks his primary fire button, McCree unleashes his channeled bullets, which fly to the targets who are in McCree's field of view when the shots are fired. Using Deadeye reloads McCree's Peacekeeper and uses its shots to deal damage. If McCree has all 6 enemies in his sights (or more, in non-competitive games) he will use all of Peacekeeper's bullets when unleashing Deadeye. McCree can shoot more than 6 targets with Deadeye, despite showing no ammo in Peacekeeper after the 6th shot. If McCree does not unleash Deadeye on 6 enemies, McCree will have leftover bullets in his cylinder that were not used. McCree can use these extra bullets for his primary fire or Fan the Hammer. If McCree uses all 6 bullets with Deadeye, he will have to immediately reload after its use. Before McCree begins to channel Deadeye, there is a 0.2-second casting time where McCree enters into the channeling of the ability. During this time, McCree is unable to use any abilities, shoot Peacekeeper, or cancel or unleash Deadeye. 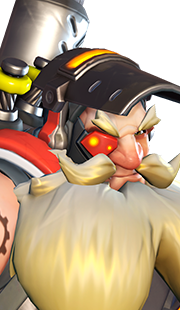 McCree will warn opponents of his impending ultimate by yelling, "it's high noon", and McCree will glow orange throughout Deadeye's channel time. 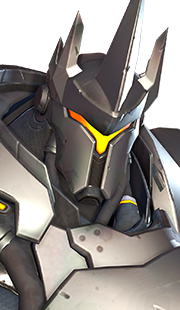 If McCree dies during this brief casting period, he will lose his ultimate charge. McCree is vulnerable to attack while channeling and firing Deadeye. McCree can only move 1.925 meters per second while casting and channeling Deadeye. When unleashing Deadeye, McCree is unable to move. After the channel time, McCree can cancel Deadeye at will with his secondary fire button. McCree cannot shoot Deadeye unless an enemy is in sight (therefore, spamming your primary fire towards the end of your channel time is a good idea as a last ditch effort to deal damage, just in case an enemy comes out from hiding at the final second). When shooting at multiple targets, McCree will always unleash his shots from right to left. McCree shoots 6 Deadeye shots in a second, but each shot has its own release time in the sequence. 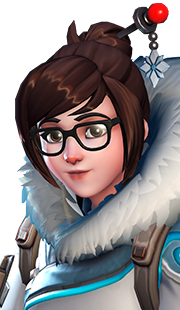 Therefore, McCree is capable of releasing 2 bullets, scoring kills, and having the third target make it behind a wall while the first 2 shots were delivered. It is a matter of milliseconds, but it does make a difference. In the same vein, McCree can release 2 bullets, and die before he releases his third. Enemies can survive shots of Deadeye if McCree unleashes it before it deals fatal damage. 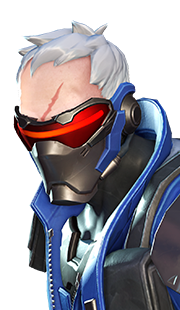 Enemies who are in line of sight of Deadeye will be marked (as mentioned above), and if they leave its sight, the mark on McCree's screen will turn gray. 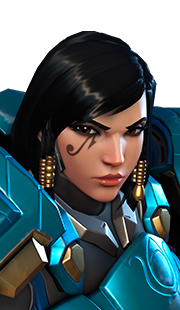 If an enemy reappears in Deadeye's line of sight, the mark will regain its red hue, and continue channeling damage where it had left off. 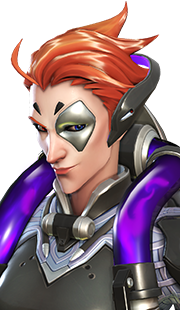 Therefore, Deadeye saves its damage progress even when an enemy walks out of sight of the ability. McCree will charge his Deadeye shots on targets even if they are behind enemy barriers. 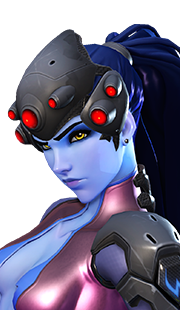 Therefore, McCree can destroy a barrier with one shot, and kill another enemy who was hiding behind the barrier with another shot. 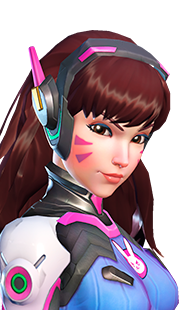 All of McCree's Deadeye shots can be eaten by D.Va's Defense Matrix and can deflected back at him with Genji's Deflect. 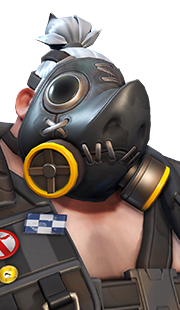 Enemies who are marked with kill shots can gain health or damage reduction through ally abilities (Roadhog's Take A Breather and Lúcio's Sound Barrier to name a few) and survive the shot despite McCree's red circle showing a skull and crossbones. An enemy can block another enemy's prepared shot if they get in the way when McCree unleashes Deadeye.